Read More "Why the healthcare industry will eliminate PPO networks parts 1 and 2 | Michael (Mike) Dendy | Pulse | LinkedIn"
Read More "A Case Study in How and Why Market Forces Work to Drive down Healthcare Costs & Improve Access"
Read More "Repeal and Replace? No thanks. | Surgery Center of Oklahoma"
Read More "When our model hits home–the proof is in the pudding. 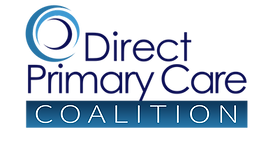 – Direct Medical Care"
Read More "Dr. Bob Nelson speaks to the Palmetto Panel about importance of Healthcare Freedom in our Republic"